As president of FIFA, Gianni Infantino is not allowed to meddle in UEFA affairs. Josimar can reveal that he is using his right-hand man, Kjetil Siem, as campaign manager in a secret play to gain power over UEFA. In the shadows, Kjetil Siem is working to secure that the unknown Aleksander Čeferin of Slovenia is elected president of UEFA. The same weekend Real Madrid and Atlético Madrid played the Champions League final at the San Siro, the football associations of the Nordic countries had a meeting that could have deciding importance on the future of European football. All the presidents of the Nordic associations were in Milan for the meeting; Karl-Erik Nilsson of Sweden, Jesper Møller of Denmark, Terje Svendsen of Norway, Geir Thorsteinsson of Iceland, Christian Andreasen of the Faeroe Islands and Pertti Alaja of Finland. UEFA had booked two hotels for the final match of their showpiece club tournament, and in a meeting room in one of them, the presidents convened to discuss the UEFA presidential election due on 14 September. At the time of the Milan meeting, no-one had officially announced they were running for the highest-ranking post in all of European football. Though, only six days after the Milan discussions, four of the six Nordic associations endorsed Aleksander Čeferin as the candidate who would get their votes. Josimar can reveal that Aleksander Čeferin had been present at the meeting. As had Kjetil Siem. Siem had given the Nordic leaders a clear recommendation: It’s the opinion of both the FIFA President Gianni Infantino and Kjetil Siem that Čeferin is the best candidate to succeed Michel Platini. Friday, 3 June, The Football Asscociaton of Norway (NFF) along with the associations of Sweden, Denmark and Finland published a press statement headlined «Going with Čeferin as UEFA President». Terje Svendsen, the NFF president, gave an interview to the Norwegian newspaper Aftenposten the same day. Svendsen has later admitted to Josimar that he doesn’t know very much about the Slovenian candidate. Five days after the four Nordic associations’ endorsement of Čeferin, the controversial Russian Minister for Sport, Vitaly Mutko, after holding talks with Čeferin, announced that Russia, along with twelve other European nations, also want Čeferin to be the next UEFA president. Why did Norway, Sweden, Denmark and Finland publicly support a candidate six weeks prior to the candidacy registration deadline? And: the fact that the Nordics endorsed Čeferin before Russia and their allies vowed to support Čeferin, was that a mere coincidence? The Nordic press release makes for peculiar reading. It states that the four associations had met with Čeferin several times. Though, the deadline for would-be presidents to sign up as candidates wasn’t until 20 July, and at the time of the Nordic statement no other candidates had come forward. Why were they in such a hurry to support an unknown candidate from Slovenia who hadn’t even presented any kind of manifesto of what he wants to achieve as UEFA president? For the answer, we have to return to Milan where the Nordic associations had invited Čeferin, President of the Slovenian FA, to a meeting. With the exception of the president of the Finnish association, Pertti Alaja, who had other business to attend to, all the heads of the Nordic associations were present. On 28 May, Kjetil Siem, was still Secretary General of the Norwegian association. 11 days earlier, though, it had been made public that he was to start work as Director of Strategy for the newly elected FIFA president Gianni Infantino. According to Josimar’s sources, several of the attendees were fully taken by surprise when Siem appeared at the meeting in Milan. NFF President Terje Svendsen, though, says Siem had been invited to inform them about his new position within FIFA, and to bid farewell to the Nordic presidents before he left his job at the NFF. According to the Dutch newspaper De Volkskrant, at the meeting Siem encouraged the Nordic nations on behalf of Gianni Infantino to collectively support Aleksander Čeferin. We asked Delia Fischer, FIFA’s media officer, about Siem’s role at the Milan meeting. Josimar have sources who confirm the information presented by the Dutch newspaper: Kjetil Siem did in no way hide that Infantino want Čeferin as UEFA president. And, unknown until now, we know that Čeferin too was present as Siem relayed the message from Infantino to the Nordic presidents. After the Nordic associations’ endorsement of Čeferin, two more candidates have emerged: The FIFA veteran and long-standing President of the Spanish federation, Ángel María Villar, and the reformist President of the football association of the Netherlands, Michael van Praag. Josimar caught up with Van Praag on the campaign trail in Israel. «I have also heard that Kjetil Siem was present at the meeting and that he wanted to rally support for Čeferin’s candidacy», he tells Josimar. He does not wish to comment on whether or not he will report Siem and Infantino to FIFA’s Ethics Committee for breach of FIFA regulations. Josimar can also reveal the politics behind the decision for the Nordic federations’ support – as the first ones among UEFA’s members – for Čeferin, and why it has happened. Several independent sources tell us that the Swedish association (SvFF) President Karl-Erik Nilsson is believed to have been promised a seat on UEFA’s Executive Committee from 2017, and to be appointed as UEFA’s next vice president. It is also believed that the Nordic countries have been promised that they will host the Euro 2024 or 2028, if they wish, as a thank you for the support they have shown for Čeferin. Awarding of Euro 2024 will formally take place in early 2017. President of The Norwegian FA Terje Svendsen tells Josimar he was not surprised to hear Kjetil Siem tell the attendees that he wanted Čeferin as UEFA President. In the meeting, did Kjetil Siem encourage you to support Čeferin? «He championed that Čeferin in his opinion was a very good candidate. He said that explicitly», says The Norwegian FA President. Did he say he was there on behalf of Infantino? Others present at the meeting did, however, did get the impression that Siem did represent Gianni Infantino, and that he unofficially had started his new job at FIFA. Everyone at the meeting was completely aware of the fact that he had been given the position as the Director of Strategy to the FIFA President. To them, it was therefore unthinkable that his message would not be in harmony with the opinions of his future boss. And it was totally inappropriate, they felt, that the newly-hired right-hand man of the FIFA President was so blatant in his support for Čeferin. 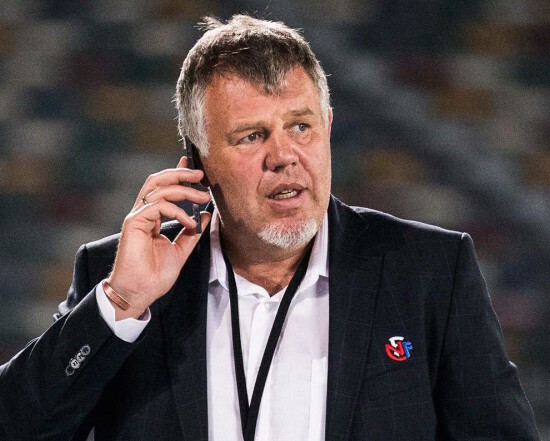 Josimar also have sources who say Kjetil Siem, as early as the UEFA congress in Budapest on 3 and 4 May, actively lobbied for Aleksander Čeferin. The Faeroe Islands and Iceland were also present at the meeting in Milan, but did not sign the Nordic endorsement of Čeferin. Christian Andreasen, President of the Faeroese FA, told Josimar they did not want to be part of a joint declaration of support because Čeferin had not presented any platform for them to rally behind. Iceland, too, declined to sign the declaration. 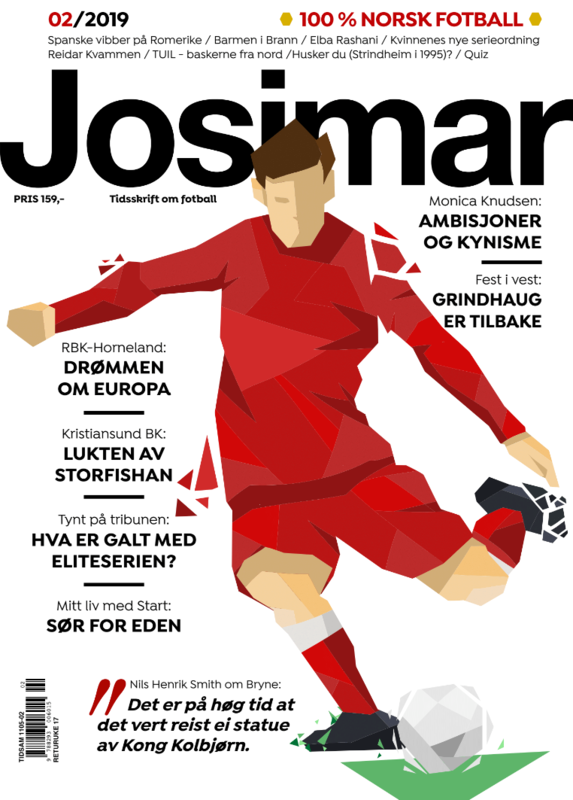 «We thought it was premature to publicly support one specific candidate before we knew who the candidates were», the President of the Icelandic football federation tells Josimar. And lately, the Nordic wall of support is showing cracks. President of the Danish FA, Jesper Møller, is not as clear-cut in his support of Čeferin. He has told the Danish newspaper Ekstra Bladet that had wanted to wait, but that the other Nordic federations, especially Sweden, pressured for a joint statement. Terje Svendsen tells Josimar that the press release on 3 June, headlined «Going with Čeferin as UEFA president, was not a declaration for support for Čeferin, but a means to get an independent candidate to run for the UEFA presidency. You have not committed yourselves to vote for him? According to Josimar’s sources, Sweden’s Karl-Erik Nilsson in particular has developed a close relationship with Čeferin. He was present when Čeferin invited him – along with other Nordic presidents – for the opening of a new technical centre in Slovenia in May. Finland’s Pertti Alaja was also there. The guest of honour at the opening was Gianni Infantino. Sweden also hosted Slovenia in one of their last friendlies before this summer’s Euro 2016 in France. Aleksander Čeferin was seated in the VIP section of the stadium in Malmö, along with Sweden’s Karl-Erik Nilsson and Denmark’s Jesper Møller. In Copenhagen on 8 September, the Nordic countries will host a hearing of the three candidates, Aleksander Čeferin, Ángel María Villar and Michael van Praag. Talk now moves on to whether the Nordics will vote for the same candidate, which they historically have, almost without exception. On 17 May the NFF released a statement to the press. Kjetil Siem was to leave his position as Secretary General of The Football Association of Norway and begin work at FIFA. «I am very happy to have Kjetil Siem aboard. He has international experience and has shown the kind of qualities I need around me in efforts to reform FIFA», Gianni Infantino said in the press statement. Siem probably got the job as a thank you for the effort he had shown in getting Infantino elected as FIFA President. For several months Siem had worked behind the scenes in the Swiss’ campaign. «I had a conversation with him at the end of October  where he asked if I could contribute to his campaign to become FIFA President. I informed [then NFF President] Yngve Hallén about my contribution, and we both agreed that it was very important for the sake of football to try to contribute to Infantino being elected», he said in a press statement. Siem worked hard on convincing African countries that Infantino was the right man for the job. Following the recent scandals, revelations and arrests in international football, the extraordinary FIFA Congress in Zurich in February was under heavy scrutiny. For the sake of FIFA’s future, who would succeed the corrupt Sepp Blatter was of huge importance. The US Attorney General Loretta Lynch had threatened to dissolve football’s world governing body. Stringent reforms were imperative if FIFA wanted to appear as a credible organisation. As the election drew closer, it was clear that only two of the candidates stood a chance of winning. One was Sheik Salman of Bahrain, accused of human rights violations in his home country. The other was Gianni Infantino, the Secretary General of UEFA since 2007, and for years the right-hand man of the fallen UEFA president Michel Platini. None of them had reforms as their most important campaign message. Neither Salman nor Infantino wanted to strip Russia and Qatar of hosting the 2018 and 2022 World Cup tournaments, respectively, despite it being well-documented that the awarding processes had been subject to downright foul play. And neither wanted to publish the Garcia report. Instead, both ran on a platform of money; member countries were promised bigger contributions than they had received under Blatter. Those were the words of the campaign manifesto when he interim President of UEFA, Gianni Infantino, started his campaign for the FIFA Presidency. The Swiss lawyer would use his UEFA funds to visit a number of FIFA member countries around the world in the months leading up to the election. He was even praised for flying the low-fares airline EasyJet. Gianni Infantion’s first six months as FIFA President paint a picture of a President whose decision-making is intended to secure his total control over world football. As well as appointing Kjetil Siem as Director of Strategy and a number of others in key roles through closed hiring processes, he has rid himself of several enemies. Just after the FIFA Congress in Mexico City on 12 and 13 May, Siem was given the position as Infantino’s Director of Strategy. «I think the new FIFA President has started really well, and the Congress in Mexico was impressive. To work closely with him will be a privilege», Siem stated on the NFF website. At the FIFA Congress in Mexico, Fatima Samba Diouf Samoura was presented as the new secretary general and successor to Markus Kattner. Kattner had been appointed interim secretary general after Jérôme Valcke lost the position following the revelations that he had made millions from the sale of tickets for the 2014 World Cup in Brazil and hired private planes with FIFA money. In May, some eight months into the job, Kattner too had to leave FIFA when it was discovered that he (along with Valcke and Sepp Blatter) had granted himself huge bonuses after the Brazil World Cup. That the next Secretary General would be an African, came as no surprise. Fatima Samba Diouf Samoura has no history in football, but 21 years of experience from the United Nations and held the position as head of the UN Development Programme in Nigeria. Several sources within FIFA and UEFA tell Josimar she will be easy game for Siem and Infantino, whilst simultaneously creating important ties to Africa for the FIFA president. During the FIFA Congress in Mexico, Gianni Infantino showed the same shrewdness often attributed to his countryman and predecessor Sepp Blatter. After the Congress had passed «the reform bill» (which is nowhere in the neighbourhood of the reforms FIFA desperately needs) approved at the previous Congress in Zurich on 26 February, Infantino, in the eleventh hour made a proposal – and got the votes necessary – that now gives him the right to hire and fire people on FIFAs independent committees and in the new FIFA Council until the next FIFA congress to be held in May 2017. The FIFA Council will replace the old Executive Committee and will consist of 37 members. This means, effectively, that the independence of FIFA’s instances of control has been put on hold for a year. This upset the powerful Domenico Scala, Head of the FIFA Audit & Compliance Committee. He called it a coup d’etat and resigned from his position with immediate effect. Amongst Scala’s many assignments, it was his job to negotiate Infantino’s salary, and to decide whether Infantino’s cash promises to the various confederations during his election campaign could be kept. In June, German and Swiss newspapers published a recording of a FIFA Council meeting in Mexico. On the tapes, you can hear how Infantino is using all his powers to have Scala removed. Scala had offended Infantino by offering him a yearly salary of two million Swiss francs (approximately 1,8 million EUR or 1,5 million GBP). He was, after all, buying a house in Zurich for 25 million Swiss francs (! ), he said. In order to afford the house, the other committee members now needed to loan him the money, he joked. The wage demands and pressure put on Scala by Infantino led til Scala reporting Infantino to FIFA’s Ethics Committee, which is one of the reasons why Infantino had to have Scala removed. In this meeting, only one delegate spoke up against Infantino. England’s David Gill voiced criticism of the process and called it «wrong» and «disappointing». In addition to the recording, an email was leaked. In the email Infantino instructs the Head of FIFAs Legal Department, Marco Villiger, to delete the recording. The question now was whether this was a breach of FIFA regulations (which says all meetings must be sound-recorded), and what the Ethics Committee will do about it. A few days later it was revealed that Sepp Blatter, Jérôme Valcke and Markus Kattner had granted themselves bonuses worth millions after the 2014 World Cup in Brazil. These revelations served as a perfect lightning rod for Infantino. The role of the Head of FIFA’s Audit & Compliance Committee is a vital one. Whoever holds this position is the safeguard against anyone taking liberties within FIFA. Also, it falls within the position to oversee that the reform process, as approved by FIFA, is carried through as intended. The conflict between Infantino and Scala shows that Scala behaved too independently for Infantino’s liking. Josimar’s sources confirm that ahis strategic advisor, Kjetil Siem, would also like to get rid of Scala. Just shy of two months after the turbulent Congress in Mexico, Infantino hired the Slovenian Tomaž Vesel as successor to Domenico Scala as head of the Audit & Compliance Committee. According to several news outlets, it was the vice chairperson of the Audit & Compliance Committee, Sindi Mabaso Koyana of South Africa, who had proposed Vesel. However, Josimar’s sources say that Aleksander Čeferin was deeply involved in the appointment of Vesel. As Gianni Infantino was searching for someone to replace Domenico Scala he asked, according to our sources, Aleksander Čeferin if he could recommend someone who could lead the Audit & Compliance Committee. Čeferin suggested his compatriot Vesel. Shortly thereafter, Vesel took up the role as the new Head of FIFA’s Audit & Compliance Committee*. Josimar have been in contact with several sources in Slovenia. They tell a story of a close friendship between Čeferin and Vesel. They studied law at the same time at the University of Ljubljana in the late 1980s and early ‘90s, they play together on a corporate football team and reside in the same neighbourhood. «They are very good friends and have known each other for a long time», Dejan Stefanović tells Josimar. Stefanović is the Head of the Players’ Union in Slovenia and a board member of the international players’ union, FIFPro. He too is a lawyer and has played for the same lawyer’s football team as both Čeferin and Vesel. To Josimar, Aleksander Čeferin denies that Vesel and himself were college mates. In an email he writes that the two have played a few football matches together. In a text message to Josimar, Tomaž Vesel confirms the two have played football together. Asked how long they have known each other, he replied «Slovenia is a small country», ending the message with a smiley. Two days after Josimar had been in touch with Suhadolnik, the Delo newspaper published an interview with Čeferin – an interview conducted by Suhadolnik. The subject of the interview was his reasons behind the decision to run for UEFA President. «I hadn’t even dreamed of running. It all started when I was contacted by the Nordic countries when it became clear that Michel Platini could not stay on as President. I have long-standing and good relations with the heads of the Nordic federations. But I had to smile when they said they saw in me the perfect candidate to take over from Platini. How will I be able?, I said. Then the head of the Italian federation telephoned and told me their association also want to support me. When I later took part in a regional conference in Moscow attended by the Eastern European nations, thirteen countries in all, including Turkey and Russia, I heard, incredibly, the same. All of them encouraged me to run. With such solid support, I had to seize the opportunity», Čeferin says in the interview. Aleksander Čeferin doesn’t have a Wikipedia-profile and his time in football is short. When he was elected President of the Slovenian FA in 2011, questions about his eligibility arose. The Slovenian FA regulations state that anyone seeking the highest office, that of President, need to have held a position as board member at club level for a minimum of five years to be eligible. According to Josimar’s sources It was the country’s political leadership which had encouraged him to run. Even though Čeferin had played for a lawyer’s team in Ljubljana for several years, he had only served six months as a board member, at NK Olimpija Ljubljana – four and a half years shy of the minimum time required to be eligible for the Presidency. Olimpija Ljubljana spokesperson Aljos Vekic confirms to Josimar that Čeferin’s time of service at board level was limited to six months when he was elected as President of the Slovenian FA. The law faculty at the University of Ljubljana was then asked to do an evaluation of his eligibility. The assessment on Čeferin’s eligibility, spanning four pages, states his club membership and consultant’s work at Olimplija that dates back to 2006 was enough to make him eligible. The Čeferin family have ties to the University’s law faculty that go back generations. And later, Aleksander Čeferin’s brother, Rok, was named Associate Professor. There is more at stake in the upcoming UEFA Presidential Election than the Nordics being awarded the European Championship finals and a spot for the Swedish President in UEFA’s Executive Committee. Rather, the bigger question is whether Čeferin has been chosen as part of Gianni Infantino’s plan to strengthen his relationship with Russia, which in turn is part of Russia’s plan to silence potential critics before Russia is due to host the World Cup. Of the three potential UEFA presidents – Čeferin, Villar and Van Praag – history would suggest that the Nordic federations would vote for the Dutchman Van Praag. If elected, he will spend the next two years implementing reforms and make UEFA more transparent, he has said. And, the Nordics have traditionally worked well with Western European nations like Belgium and the Netherlands, and have had less in common with Eastern European countries. Nordic support for Čeferin fits nicely into Gianni Infantino’s plan to maintain good relations with the President of the Russian Football Union, Vitaly Mutko. Aleksander Čeferin is chairman of the board of the law firm his father founded during the Cold War. Čeferin’s father maintained good relations with the Moscow regime throughout. The company has continued to do business in Russia, and its website is available in a Russian-language version. Russia will play a central role in football if Čeferin is elected. The Russians already have a big influence in Slovenia and the Balkans, in football as well as business. The Russian energy company Gazprom is the biggest sponsor of both UEFA and FIFA. Gazprom maintains a heavy presence in Slovenia as they want to build a gas pipeline through Slovenia. The country buys gas cheap from the Russians, and Gazprom has acquired petrol stations and hotel chains in the small country. At the same time, it is in both FIFA’s and Russia’s interests that the next UEFA president is not heavily critical towards the 2018 World Cup. Five days after the four Nordic nations voiced their support for him, Čeferin went to Moscow where he met with Mutko and the heads of the football associations of Albania, Bosnia, Bulgaria, Croatia, Greece, Cyprus, Montenegro, Macedonia, Romania, Serbia and Turkey. Just like the Nordics, they too promised their support to him. The occasion was coordinated and orchestrated by Vitaly Mutko. Mutko is a powerful figure, as well as serving as President of Russian football and as Minister for Sport in the Putin regime, he sits on FIFA’s board and was responsible for the Russian 2018 World Cup bid – a bid process that is under investigation by the FBI and Swiss authorities. This summer, Mutko accompanied Russian troublemakers who made their violent mark in France. If the Russians had endorsed Aleksander Čeferin first, it could have ruined Čeferin’s chances of becoming UEFA President before the campaign had even begun. It is telling therefore, that Čeferin, in an interview with the Slovenian newspaper Delo in late August, stated that it was the Nordic support which led to his decision that he was going to run for the UEFA Presidency. *CORRECTION: In the first edition of this article we stated that Tomaž Vesel “left his position as the Republic of Slovenia’s Auditor General” before he took up the role as the new Head of FIFA’s Audit & Compliance Committee. This is incorrect. He stills holds the position as Auditor General. **CORRECTION: In the first edition of this article, Jernej Suhadolnik, football writer at the Slovenian newspaper Delo, was attributed this quote: «Both are lawyers. It’s natural that the two get along well». The quote was from another source in Slovenia, and by mistake attributed to Suhadolnik. We apologise for this mistake.